ABUJA – THE Joint Admissions and Matriculation Board, JAMB,has said it will soon compile and released names of people who have impersonated in its examinations in the past ten years. This came as the board said as it prepares to commence the 2019 Universal Tertiary Matriculation Examination, UTME,billed to take place between April 11 and April 15,a total of 1,989,181 million candidates have successfully applied to sit for it. JAMB’s Registrar,Prof. Ishaq Oloyede, disclosed this yesterday, during a meeting of critical stakeholders on strategic planning and preparations for supervision and evaluation of administration of 2019 UTME. 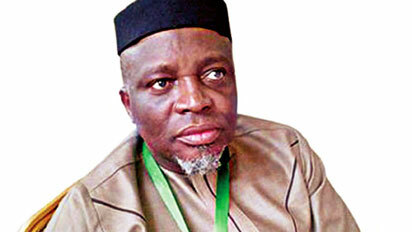 Oloyede,who decried the continuous impersonation in JAMB’s examinations despite the different measures adopted so far by the board to curb the menace, insisted that the names of impersonators in the past 10 years would soon be published to serve as deterrent to others. According to him,the development would also expose many people now in high places who had in the past impersonated in the board’s examination. Hear him:”We are making arrangements to compile and publish names of all the people that have impersonated in out examinations in the past ten years. “Some of these people impersonated even when they were already graduates. Some impersonated as undergraduates. “They impersonated using different names but the same fingerprints. Some of them are now in different high places and by the time we publish these names,those now in high places will be exposed,”he said. While disclosing that JAMB has under his leadership, introduced some new innovations for successful conduct of 2019 UTME, enjoined candidates to ensure they comply with the rules and regulations of the examinations. The examination which is expected to kick off from April 11 through 18th, 2019 would also in-cooperate candidates that are deaf, blind, including some prison inmates. He also said a total of 708 Computer Based Test centres have been approved by the Board to host the examination, nationwide. He insisted that only candidates verified through biometrics would be allowed to sit for the examination, just as it noted that those whose fingerprints may not have been captured properly but can authenticate their identity may have to travel down to JAMB headquarter in Abuja, where they would write the examination. Oloyode said any candidate who fell under such category would be catered for appropriately, including their transportation and other logistics but they would be required to take the examination under the Registrar’s presence. He said: “Any candidate that cannot be verified by BVM must not be allowed to take the examination under any guise. BVM is the only form of attendance register. “No Biometric Verification, No examination. Discretion is not allowed on this matter. On new innovations for the UTME, Oloyode said: “a separate indicator had also been created for the deaf to differentiate them for special attention at the examination centre. Efforts are on to provide the option of special centres or mainstreaming for the blind. “We now have live report on centres that registered any candidate, the time the candidate was registered, who registered the candidate, computer system used, the location of registration.